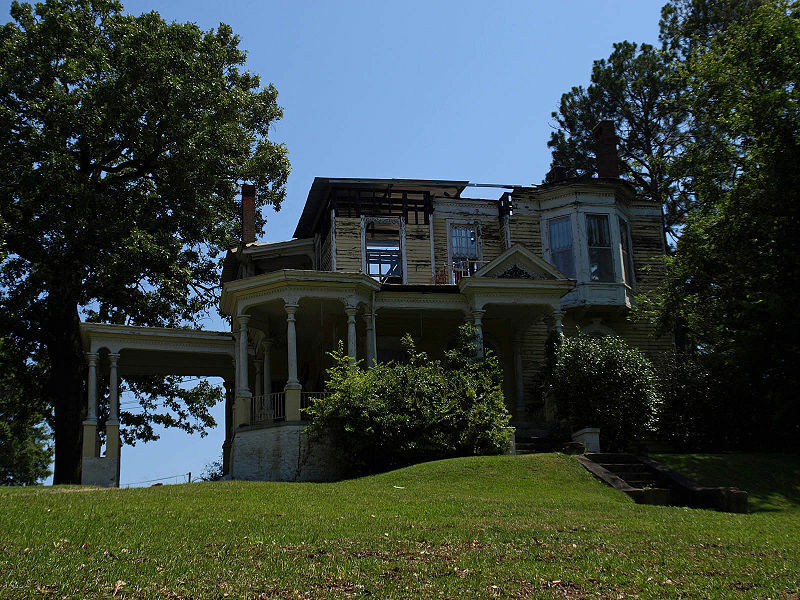 Just days after I posted about the historic Gay House (here) a friend started talking about another amazing old house in Montgomery that hubby and I actually looked at a lifetime ago, the Winter House. The story goes that there is a tunnel that was used to escape Wilson’s raiders that leads from the basement to the river. The old grainy photo is from some ancient files that I dug up but take some time to examine this glorious structure. Notice the unusual balustrade around the porch and the trim detail between the columns. It looks like a key hole. See it? I love that charming little window over the front door. Steve Mouzon you need to jump in here with some more interesting info on this house. And speaking of front doors does it get any better than this? I want them. I know. It makes me cry also. Check out those corbels. How many must there be in all????? And by the way this is how shutters are SUPPOSED to be used. Have you ever seen the vinyl version that some builder stuck on a building BACKWARDS! Please. Love, love, love those fish scale shingles and that awesome window. Southern Accents you might be headed back to town. 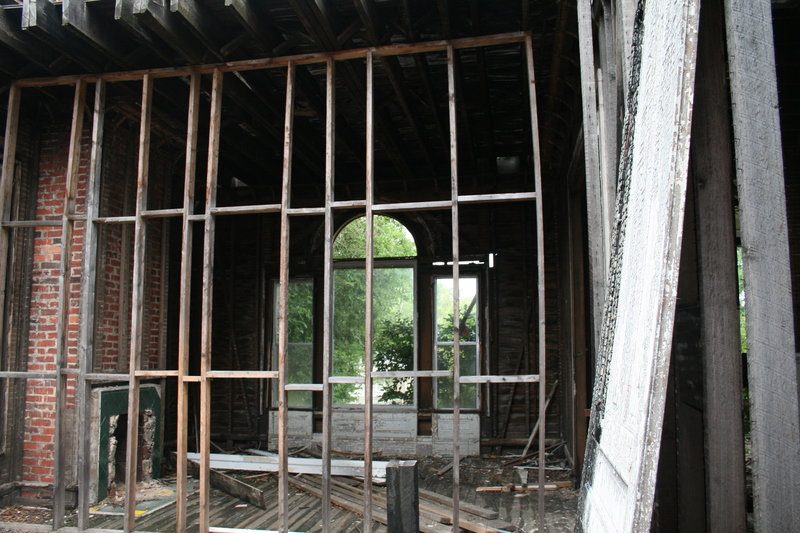 My good friends from Southern Accents were in town this week to save as many of the architectural relics as they possibly could from the historic Gay House in Montgomery’s Garden District. Home to one of the most beautiful staircases I have ever seen, this Queen Anne beauty sat high upon a hill fighting for survival. It was beautifully restored once but then a fire in 2007 caused so much damage that it was not economically feasible to save it again. I remember feeling physically ill the morning this picture appeared in The Montgomery Advertiser. 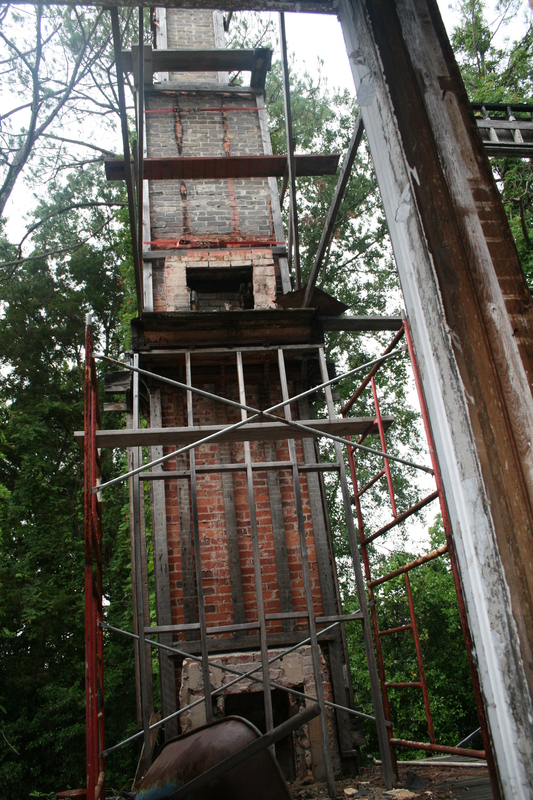 The fire is believed to have started from an unattended candle. I’m pretty sure I’ve never seen a prettier staircase than this one. She was a thing of beauty. Working tirelessly in the heat of a southern summer Kolby and his crew meticulously disassembled each piece of the puzzle so that salvage lovers like me would have the opportunity to find new loving homes for it. 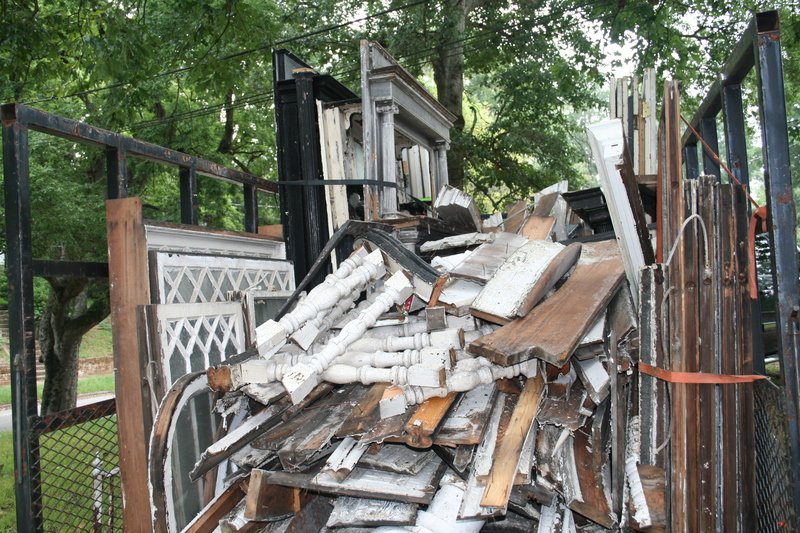 Mantles, windows and doors fill trailer after trailer. How is it possible to feel sadness and excitement at the same time. How I would love to have the freedom to build the house that I see in my head utilizing the amazing products that were yesterday. They just don’t made ’em like that anymore.